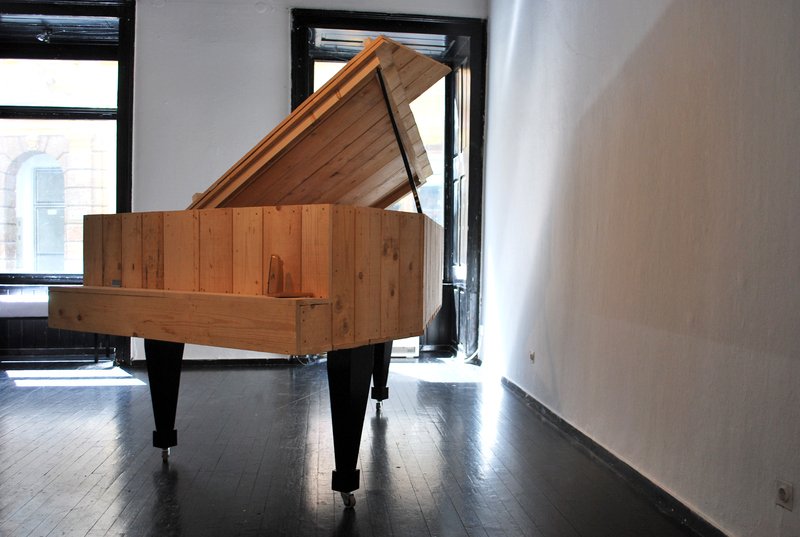 In the construction alone the work wants to create and make visible and audible what in this case is shown as invisible through the absence of reality. 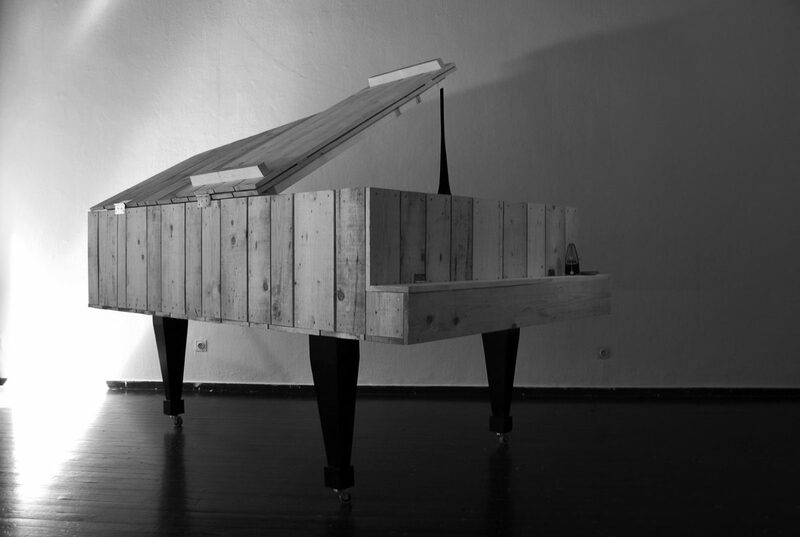 The transport object is in dimensions of a real concert piano which is absent in its core. 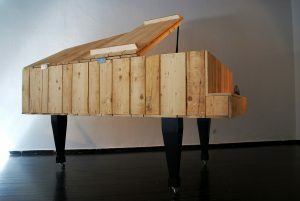 I put this piano on real legs. 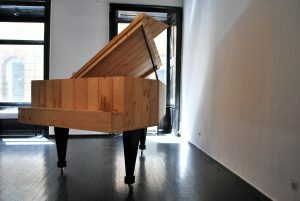 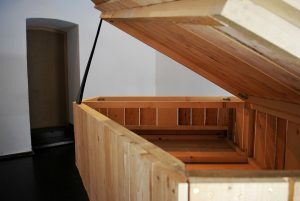 The biggest instrument in a symphonic orchestra is also a critique of an urban apartment where piano is used as a saucer for pictures, souvenirs, smaller objects and parallel to that it can also carry out its prime, musical function.